Henan Perfect Handling Equipment is a material handing specialist. To maximize the material handling efficiency, we would do by offering a wide array of customized industrial trailers, towing systems and industrial carts. Depending on your project and specifications, we can provide you with electrical warehouse carts, industrial trailer and towable warehouse carts up to 300T. 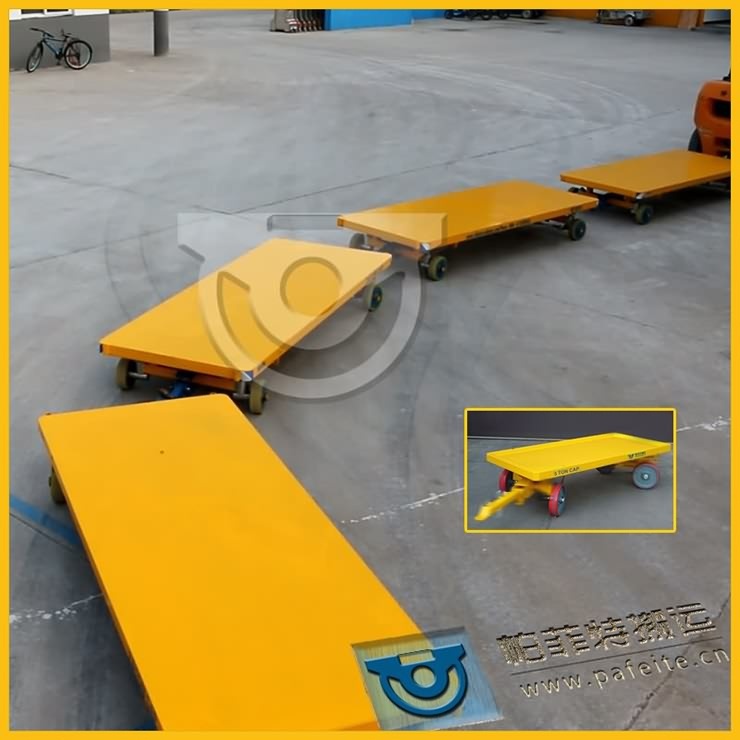 For the towable warehouse carts also named quad steer or 4 wheels steer cart, is a very popular industrial trailer. In conjunction with tow bar, the 4 wheel steer trailers are primarily used to deliver/pickup parts and finished products along a specified route with multiple carts in tow. Each quad steer trailer follows inline, tracking behind each other, holding a line within inches around corners. This precision tracking offers a huge advantage in plants.